2016 Audi A4 has been spied again. Images of the much awaited for vehicle are now availble. Car fans all over the world will be more than happy to find out that the super car has been spied inside and outside so the list of mysteries has decreased considerably. Most likely the car will be unveiled in August or in September. A full premiere is scheduled for the Frankfurt Motor Show. As far as we can see from the images the 2016 Audi A4 will benefit from an aggresive design. Special headlights with LED turning signals and daytime running lights and a larger and sharper radiator girlle will be on the list of features that promise to make the car an offer you just can’t refuse. An important change is expected in the weight chapter and the 2016 Audi A4 is expected to be 100 kg lighter that it’s predecessor. Under hood arsenal sounds good too as the car will come with multiple engine options . List will count diesel, petrol and hybrid powerplants. The power options for the 2016 Audi A4 will be from 120 HP (88 kW) to 326 HP (240 kW) in the 2.0 TDI e-tron version. Changes will be made on the inside too. 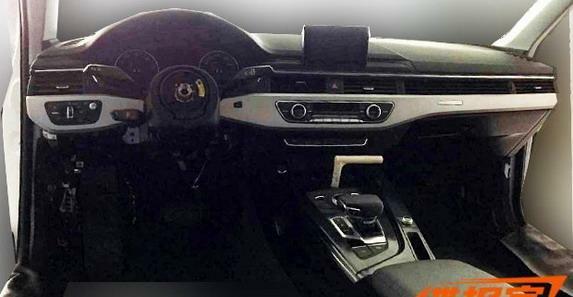 Basically the 2016 Audi A4 will have a new center console, a new gear shifter, infotainment system controls and display and new controls. 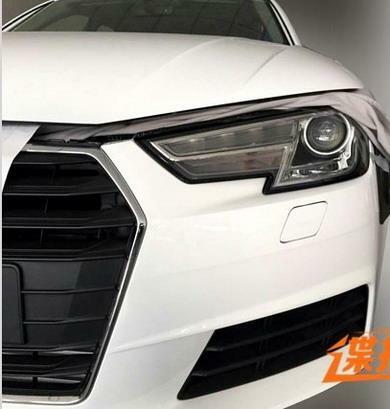 This entry was posted in Audi, Spy Photos and tagged 2016 Audi A4, A4, Again, Audi, spied. Bookmark the permalink.